This picture was taken by a lady returning on a cruise this past summer (July 28, 2001). It is a sunrise over lower Manhattan. 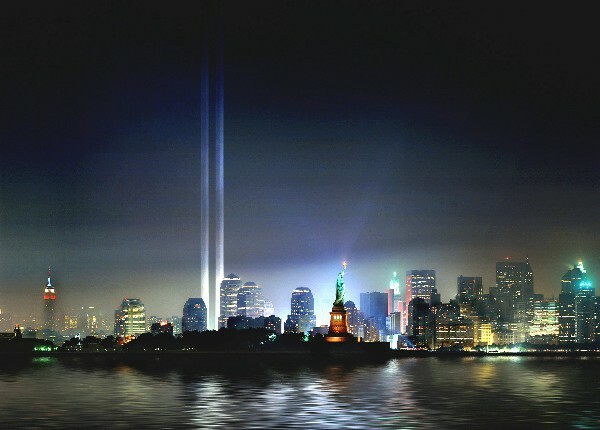 As I watched the beautiful skyline of New York City float past me I noticed the sun was about to line up just behind the twin towers. I was lucky enough to snap the picture at exactly the right moment. If you look at the sun rays it is almost prophetic. a little spooky. When I show this picture to anyone they almost always ask for a copy I just want to share it with all who want it. Please take this picture and share it with anyone and everyone who likes it. I've been printing them like crazy on my home computer to give to those that want a copy. 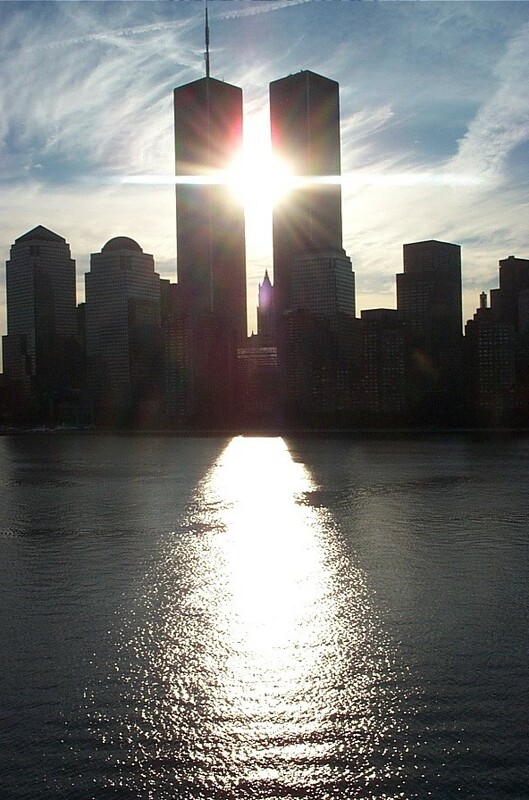 Picture of Sunrise Between the Twin Towers in July, 2001-Truth!